To do their research, Carlson’s team examined several marine sediment cores taken offshore of Antarctica. The cores are long cylinders of mud and silt that give clues about past changes in Earth’s climate. That total is equivalent to more than 2 quadrillion gallons of water added to the world’s oceans, making Antarctica’s melting ice sheets one of the largest contributors to rising sea levels. That amount of water is enough to fill more than a billion swimming pools or cover Texas to a depth of nearly 13 feet. 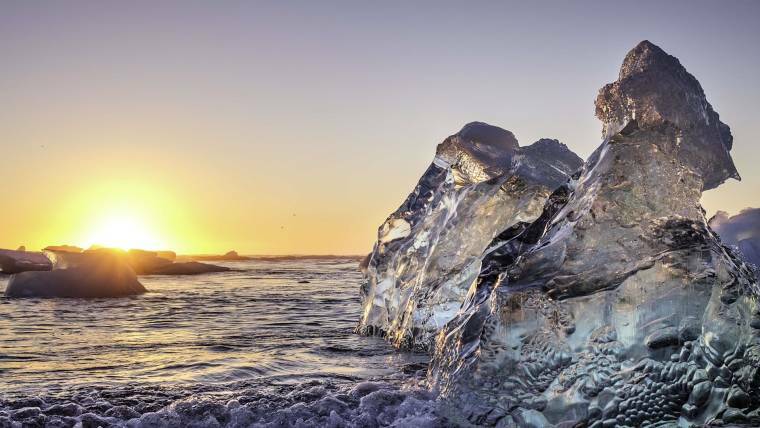 Midnight sun shines over the Arctic Ocean with drifting ice floes, north of the Arctic Circle in Nordaustlandet, Svalbard / Spitsbergen, Norway. If you think this summer has been intense as far as record warm temperatures, wildfires, drought, and flooding events around the Northern Hemisphere, you haven’t seen anything yet — unless you happen to live in the Arctic. A recent report from National Geographic revealed that some of the ground in the Arctic is no longer freezing, even during the winter. Along with causing other problems, this will become yet another feedback loop in the Arctic, causing yet more greenhouse gasses to be released from permafrost than are already being released and impacting the entire planet. The simplest explanation for a positive climate feedback loop is this: The more something happens, the more it happens. One of the most well-known examples is the melting of sea ice in the Arctic during the summer, which is accelerating. As greater amounts of Arctic summer sea ice melt away, less sunlight is reflected back into space. Hence, more light is absorbed into the ocean, which warms it and causes more ice to melt, and on and on. Dr. Ira Leifer is an academic researcher who specializes in bubble-related oceanographic processes (such as subsea bubble plumes emanating from the ocean floor), satellite remote sensing, and air pollution. Working closely with NASA on some of his projects, Leifer uses the agency’s satellite data to study methane in the Arctic and its role in climate disruption. One of his concerns about a feedback loop already at play in the Arctic is how the heating of that region is already being amplified by ocean currents that transport warmer, more southerly waters northwards into Arctic seabed waters where it can affect methane deposits in submerged permafrost and sub-seabed methane hydrates. “The release of this methane contributes powerfully to overall warming – methane is a very potent greenhouse gas, which actually has a bigger effect [on] the atmosphere’s radiative balance than carbon dioxide on decadal timescales,” Dr. Leifer told Truthout. Although climate is generally thought to occur on century timescales, human timescales and ecological adaptation timescales are measured in decades instead of centuries, and this is now how many climate processes are being monitored given the rapidity of human-forced planetary warming. Dr. Peter Wadhams is a world-renowned expert who has been studying Arctic sea ice for decades. Dr. Wadhams, who is also the President of the International Association for the Physical Sciences of the Ocean (IAPSO), noted that this primary feedback loop is much further along than most of us realize. Alarmingly, on August 21, Arctic scientists told The Guardian that the oldest and strongest sea ice in the Arctic had broken up for the first time in recorded history. One of them described the event as “scary,” in part because it occurred off the north coast of Greenland, which is normally frozen year-round. The region has long been believed to be “the last ice area”: It was thought, at least until now, to be the final place that would hold out against the melting impacts from an increasingly warmer planet. Temperatures are rising most strongly in the Arctic, with some areas already showing an increase of as much as 5.7 degrees Celsius (10.26 degrees Fahrenheit). Dr. Michael MacCracken, Chief Scientist for Climate Change Programs with the Climate Institute in Washington, DC, explained to Truthout how, now that the Arctic is warmer, the temperature gradient between the tropics and the traditionally cold Arctic is reduced. With a reduced gradient, the movement of warmth from low to high latitudes is slowed. As Earth rotates, this leads to a wavier jet stream that can carry low latitude warmth up to Alaska and elsewhere in the Arctic, and the southward reach of cold air in the Arctic to lower latitudes. This explains why New Orleans, for example, has recently experienced unusual freezing winter weather. Dr. Wadhams is concerned about this as well. Summer weather patterns are now increasingly likely to become stalled out over places like North America, portions of Asia, and Europe, according to a recent climate study that showed how a warming Arctic is causing heatwaves in other places to become more intense and persistent due to a slowing of the jet stream. Dr. Leifer warned that as these processes continue and the Arctic continues to heat up faster than the tropics, the pole-equator temperature difference that controls our weather and causes three major weather circulation “cells” — tropical, mid-latitude, and arctic — will merge into a single weather cell. A similar merging of weather cells occurred during the time of the dinosaurs. The diminishment of the jet stream also contributes to another potentially catastrophic feedback loop within the Arctic seabed: Changes to the jet stream are causing longer and more intense heat waves to occur across the Arctic, which of course causes the Arctic Ocean to warm further. Kevin Lister, an associate with the Climate Restoration Foundation in Washington, DC, co-authored a paper with Dr. MacCracken for the United Nations that addressed the crisis in the Arctic, among other climate disruption-related issues. Lister said this conclusion was reached, in part, due to initial observations from Dr. Wadhams regarding how the loss of sea ice was amplifying rates of change in the Arctic. Lister told Truthout that “methane emissions [in the Arctic] are already a severe risk,” and that he and Dr. MacCracken’s UN paper shows that once temperatures started rising they would be largely unstoppable due to the interacting nature of the feedback mechanisms. Dr. Leifer, who has been studying Arctic methane for years, shares the same concern. “There is the potential for seabed methane deposits off Greenland to be destabilized by the input of warm melt water and also heat transport,” he said, in addition to having pointed out that this process has been occurring in other areas around the Arctic for many years. As I have written in the past, we are currently facing the very real possibility of a major methane release in the Arctic. Such a release would be a catastrophe for the global climate — and the survival of humans and other species. Could a Dire Situation Lead to a “War for Survival”? Lister and Dr. MacCracken both believe that the global focus on a maximum allowable temperature increase target of 1.5°C above baseline is both dangerous and unachievable. Most media and governmental attention has centered on keeping the Earth from warming 2°C over pre-industrial revolution baseline temperatures, and ideally limiting warming to 1.5°C. This is based on a politically agreed upon goal set forth during the 2015 Paris Climate talks, which were nonbinding. Lister and Dr. MacCracken both believe that, in an ideal world, the process would be the other way round; governments would decide a safe temperature rise based on the best science and then set an appropriate climate change policy. But this is not the world we live in. Dr. Leifer said that even if we prepare for the inevitable sea level rise from Greenland melting alone, accelerated melting there is “very bad,” as it reduces the time to implement plans. However, he noted, most countries are not in preparation mode to begin with. The impacts of climate disruption aren’t waiting for our preparations, or lack thereof. Dr. Leifer believes that, sooner or later, the sea levels will rise dramatically. Once this happens, he believes coastal cities will have to be abandoned due to sea level rise and increasingly destructive hurricanes. He believes that the sooner that departure happens, the less destruction and loss of human lives we will experience. Dr. Leifer also expressed concern about the changes to the Atlantic Meridional Overturning Circulation (AMOC), which is currently weakening and already at its weakest in at least the last 1,600 years. Dr. MacCracken told Truthout that his greatest concern about Arctic feedback loops is that of the melting of the plateau of the Greenland Ice Sheet. He explained that the meltwater and warmth at the surface is penetrating down into the ice sheet, softening it enough that the glacial ice has started flowing outward, and as this happens, the surface of the ice sinks to lower altitudes. This kicks in a feedback loop that ultimately causes warming to accelerate, which causes the ice to flow faster, which further accelerates the melting. “The ice making up the Greenland Ice Sheet holds about the equivalent of 6-7 meters (~20 feet) of global sea level rise, and glaciological evidence makes clear that an order of approximately half of that melted during the last interglacial about 125,000 years ago, contributing significantly to the 4-8 meter rise in sea level at that time,” Dr. MacCracken said. He pointed out that this rise was caused by a 1°C temperature increase, similar to the temperature increase Earth is experiencing right now (1.16°C above baseline). The rapidly melting Greenland Ice Sheet is precisely what is causing the AMOC to slow. Moreover, an Arctic that is continuing to warm could lead to the failure of the Gulf Current, Dr. Leifer said. “The resultant deep freeze that would hit Europe would destroy European agriculture and likely lead to a massive war for survival,” he warned. 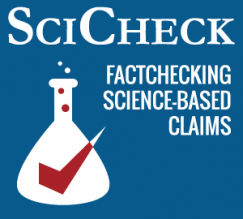 He also claimed in a third interview that there are scientists “on both sides” of climate change, despite published papers showing that the vast majority of climate scientists — as high as 97 percent — agree on the issue. Trump’s first comments on climate change this week came during a CBS “60 Minutes” interview on Oct. 14, when CBS’ Lesley Stahl asked whether Trump still viewed climate change as a hoax. Stahl, Oct. 14: Do you still think that climate change is a hoax? Trump: I think something’s happening. Something’s changing and it’ll change back again. I don’t think it’s a hoax, I think there’s probably a difference. But I don’t know that it’s man-made. I will say this. I don’t wanna give trillions and trillions of dollars. I don’t wanna lose millions and millions of jobs. I don’t wanna be put at a disadvantage. Stahl: I wish you could go to Greenland, watch these huge chunks of ice just falling into the ocean, raising the sea levels. Trump: And you don’t know whether or not that would have happened with or without man. You don’t know. Trump: We have scientists that disagree with that. Trump: Well– I’m not denying. Stahl: What an impact that would make. Trump: I’m not denying climate change. But it could very well go back. You know, we’re talkin’ about over a millions of years. The following day, the president repeated these ideas during a briefing about Hurricane Michael when asked by a reporter why he had changed his mind about climate change being a hoax. Trump, Oct. 15: There’s no question. There is something there — man-made or not. I mean, there’s something there. And it’s going to go, and it’s going to go back and forth. But there is something there. Can Climate Change ‘Go Back’? The president presents climate change as a phenomenon that naturally swings back and forth, arguing that it might reverse itself all on its own. Climate systems are complex and do have natural cycles and feedbacks. But these cycles are already accounted forwhen scientists evaluate what is happening as the Earth warms from increases in greenhouse gases. When scientists, such as those with the Intergovernmental Panel on Climate Change, or IPCC, model future climate changes, there are no scenarios in which the general warming trend decreases by the year 2100. The IPCC makes future projections under different greenhouse gas concentrations and emissions, among other factors, in what it calls Representative Concentration Pathways, to show what we might expect given various levels of action on climate change. According to the IPCC’s fifth assessment report, which was finalized in 2014, global surface temperatures are expected to rise by 0.3 to 1.7 degrees Celsius by the end of this century in even the most aggressive scenario, known as RCP 2.6. In this scenario, greenhouse gas emissions are severely limited, consistent with the goal of limiting temperature rise to 2 degrees Celsius. While this goal is thought to be technically feasible, it requires the participation of all countries. Taking no additional action on climate change is projected in the same report to result in a global temperature increase between that expected for the two most lax scenarios, which range from 1.4 to 3.1 and 2.6 to 4.8 degrees Celsius. Looking further out, warming continuesafter 2100 in all scenarios except for RCP 2.6, the most stringent one. “All the scientific evidence suggests that the changes humans are causing now will last for hundreds or thousands of years, so long enough that we will have to move cities and infrastructure,” Natalie Mahowald, a climate scientist at Cornell University, and a lead author of the IPCC’s latest special report on the impacts of global warming of 1.5 degrees Celsius above pre-industrial levels, told us in an email. On a very long timescale, the Earth might eventually cool after today’s warming has taken effect and an ice age sets in. But Shindell explained that won’t happen for at least thousands of years. If that is the “back and forth” Trump has in mind, it will come too late to prevent the Earth from having to experience the ecosystem changes, extreme weather events, and rises in sea level that scientists expect from climate change in the near future. In both the “60 Minutes” interview and the briefing on Hurricane Michael, the president questioned whether climate change is caused by humans, saying, “I don’t know that it’s man-made,” and “There is something there — man-made or not.” As we have writtenbefore, this is not an open question. Hundreds of scientists from across the world agree that climate change is driven by humans. In the latest IPCC assessment, the group was even more confident than in its previous report that human activity causes climate change, writing, “It is extremely likely that more than half of the observed increase in global average surface temperature from 1951 to 2010 was caused by the anthropogenic increase in GHG [greenhouse gas] concentrations and other anthropogenic forcings together.” The IPCC defines “extremely likely” as between 95 percent to 100 percent probability. Trump is right — but only to a point. It is impossible to tie any particular ice chunk to climate change and human activity. “Any individual chunk of ice, we don’t know if that particular bit of frozen water would have fallen off without climate change,” said Drew Shindell, the Duke climate scientist. But, he said, Trump is correct only in the narrowest sense. “We’re quite sure that the observations of the accelerated Greenland-wide loss are related to climate change,” he said. Trump has questioned the status of glaciers, or what he called “ice caps,” before, and as we’ve explained, satellite imagery shows that Greenland has been losing mass since at least 2002, with increases in that rate since 2009. The National Aeronautics and Space Administration estimates that for the last 15 or so years, Greenland has lost a whopping 286 gigatonnes of ice per year, and this has led to a 0.8 millimeter rise in the global sea level each year. Some of the ice loss is from iceberg calving, which is when ice breaks off from the edge of a glacier, and is likely what Stahl had in mind, and some is from surface melting. The fifth IPCC assessment also concluded that human activity likely was behind ice loss and that it is connected to sea level rise. Even in the specific case of Greenland’s ice sheet, the president’s skepticism about climate change being man-made is misleading and does not reflect what is known by scientists. The president made a similar statement two days before, when he said that “we have scientists that disagree” in response to Stahl challenging him on his remark about Greenland, when she brought up “your scientists” at NASA and the National Oceanic and Atmospheric Administration. It is unclear from the president’s comments whether he was saying that NOAA and NASA scientists disagree, and the White House did not respond to our request for clarification or for help identifying these scientists. But both the NOAA and NASA websites clearly support the scientific consensus that climate change is happening and is primarily caused by human activity, and these agencies are behind important climate change research projects in Greenland. NASA notes that studies have shown that “97 percent or more” of actively publishing climate scientists are in agreement — studies we have discussed before. Mahowald said the IPCC’s results, which represent the scientific consensus, are carefully put together by many scientists after assessing the scientific literature, and are accepted by governments, including the United States, in approval sessions. A study shows that 3 trillion tons of ice have disappeared into the oceans since 1992. 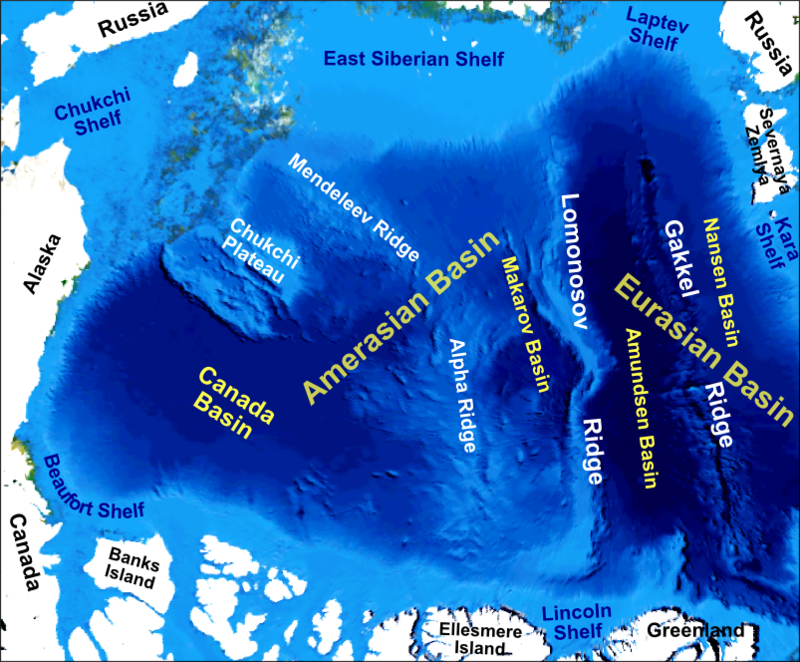 Much of the frozen water portion of the Earth, otherwise known as the cryosphere, is melting. This is not news: It’s been happening for decades. What is news is that the long-term melting trends in the Arctic, Antarctica, and with most land-based glaciers are accelerating, often at shocking rates, largely due to human-caused climate change. Antarctica is melting three times as fast as it was just 10 years ago, alarming scientists. A study earlier this year showed 3 trillion tons of ice had disappeared since 1992. That is the equivalent of enough water to cover the entire state of Texas with 13 feet of water, and raise global sea levels a third of an inch. In fact, the polar ice caps have melted faster in the last 25 years than they have in the last 10,000 years. In the Arctic, the Greenland Ice Sheet is losing an average of 270 billion tons of ice each year, and the strongest sea ice in the region broke up for the first time on record this summer. All of this melting is causing sea level rise to accelerate. For glaciers that exist outside of the Polar Regions, the situation is even worse. “You can count on all alpine glaciers in the world to be gone by 2100,” Dan Fagre, US Geological Survey (USGS) research ecologist and director of the USGS Climate Change in Mountain Ecosystems Project, told Truthout. Truthout spoke with experts like Fagre, as well as others with expertise in the Antarctic and Arctic, who shared an often-grim prognosis of what lies in store for the cryosphere. Ruth Mottram is a climate scientist at the Danish Meteorological Institute who has been studying Greenland for the last 11 years, and the Arctic for the last 15. Mottram is also one of the scientists behind the Polar Portal – a Danish web portal that gives near real-time data on the Arctic, including sea ice and Greenland ice sheet processes. She explained to Truthout that melting in Greenland can vary significantly from year to year and is highly dependent upon weather conditions any given year. “However, since the turn of the millennium there has been a series of summers where there have been increasingly large amounts of melt and runoff into the ocean,” Mottram explained. She studies the surface mass budget, which is the balance between income — snowfall — and the outgoing melt and runoff. Mottram and her colleagues sum these up daily on the Polar Portal, as well as over the entire year, which in turn gives them an idea of the “health” of the ice sheet. She explained that on top of this, the ice sheet can also lose mass by calving (ice breaking off a glacier at its terminus) from glaciers and basal melting. “Yet, both of these processes also have to be balanced by snowfall and what we see in the last two years is that the total budget, as opposed to the surface-only budget, has been roughly neutral – around 0,” she added. Greenland Ice Sheet meltwater is influencing the circulation of the Atlantic Meridional Overturning Circulation (AMOC), a massive oceanic conveyor belt current that moves huge amounts of warm water from the tropics northward, and from the Atlantic up toward the Arctic. The AMOC plays a critical role in creating the mild climate of the UK and other parts of Western Europe. While Mottram believes longer observations are needed on this topic, some studies have pointed out how the wavier jet-stream is intensifying extreme weather events like hurricanes, as well as altering global climate patterns. Meanwhile, the increasing melt of the Greenland Ice Sheet is directly linked to the increase in calving and iceberg production at outlet glaciers. She and her colleagues also note the number of storms tracking up the east coast of Greenland of late, which have brought a lot of snow and rain to eastern Greenland and seem to be penetrating higher up into the Arctic – possibly due to the lower sea ice extent there. “The winds associated with these storms can bring quite high temperatures to east and northeast Greenland, and this year we twice saw very unusual warm periods – associated with Foehn winds (similar to the Chinook in north America) – that also opened up the pack ice around the coast of Greenland,” Mottram explained. She also pointed out the role this could have played in the way in which the aforementioned “last ice area” of sea ice recently began to move away from the coast and break up. This led to the north coast of Greenland briefly becoming navigable over the summer. The Polarstern and Oden – two research ships from Germany and Sweden respectively – were able to access areas of the Arctic to do research much more easily than had been expected. The same is true of the Venta Maersk – the Danish “ice class” container ship that was the first to traverse the northern sea route this summer. Michael MacCracken, the chief scientist for climate change programs at the Climate Institute in Washington, DC, told Truthout that the loss of land ice, such as the loss of mass from the Greenland Ice Sheet, clearly raises sea level globally. NASA emeritus scientist Robert Bindschadler, who worked for 35 years as a glaciologist at NASA Goddard Space Flight Center, previously told Truthout that the world may see three to four meters of sea level rise by the year 2200. Bindschadler has led 18 field expeditions to Antarctica, published more than 130 scientific papers, and advised the US Congress and a former vice president on the stability of ice sheets and ice shelves. His current primary concern about what is happening in the Antarctic is linked to the fact that many of the glaciers there exist within deep valleys, as remote sensing has proven as of late. In other words, these land-based glaciers are now at risk of being melted from below by warming seawater that could flow into the valleys within which the glaciers are located. He pointed out another worrisome fact about these valleys: Many of their depths may increase the further they get from the ocean. 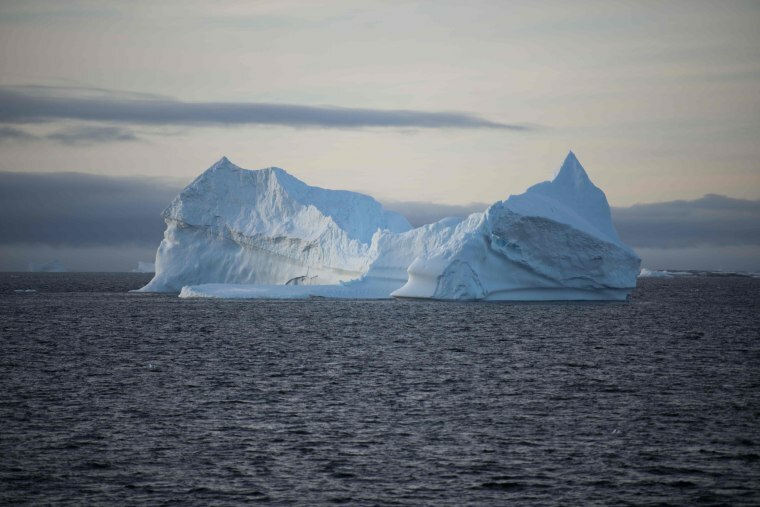 “So, the ocean has greater impact on them the more they melt, which means the potential for fast and continual retreat of these outlet glaciers is probably more widespread than we appreciated four years ago,” Bindschadler added. Bindschadler is concerned that these valleys – in which so many of the major glaciers exist – could be the next major factor in how glacial ice is rapidly released into the oceans, causing sea levels to rise further. Fagre, who is the lead investigator in the USGS Benchmark Glacier Program and has been working in Glacier National Park since 1991, is concerned about how mountain snowpack has been shrinking in Glacier National Park, like in so many other places, over the last half century. In Glacier National Park, the snow is on the ground an average of 30 days less than it used to be. “Since the planet is warming up, more of the precipitation in Glacier is now falling as rain instead of snow,” Fagre told Truthout. Since they’re less likely to be covered in snow, glaciers are more directly exposed to the sun, which obviously hastens their melting. In 1850, Glacier National Park, before it was designated a national park, contained 150 glaciers, covering around 100 square kilometers. Today, only between 14 and 15 square kilometers of ice coverage remain, an 85 percent loss. Instead of 150 glaciers, there are now only 26. Even this alarming tally of ice loss is a conservative estimate, as measuring area doesn’t account for thinning. Fagre and his team started monitoring the mass balance of Glacier National Park’s Sperry Glacier in 2005. “Our trajectory has well exceeded previous worst-case projections for many of our glaciers,” said Fagre, and added that the Blackfoot and Jackson Glaciers in the park had melted faster than the predictions by a full decade. “What we’ve found since then is that they continue to go, and at unsustainable rates,” he said. Kevin Lister, an associate with the Climate Institute in Washington, DC, co-authored a paper with MacCracken for the UN that addressed the crisis in the Arctic, among other climate change-related issues. Lister and MacCracken’s paper showed that the natural rate of carbon sequestration is so slow as to not be measurable. This doesn’t bode well for the possibility of halting climate change: The researchers say that carbon sequestration will be incapable of bringing atmospheric CO2 down to safe levels even in the hypothetical circumstance of a zero-carbon economy emerging. “Should we fail to make a start, then the scale of intervention that we need and the risks associated with it will increase exponentially with any delay,” Lister said. Scientists warn that a warm layer of salty ocean water accumulating 50 meters beneath the Arctic‘s Canadian Basin could potentially melt the region’s sea-ice pack for much of the year if it reaches the surface. The findings were published Thursday in the journal Science Advances by researchers from Yale University and Woods Hole Oceanographic Institution. This “archived” heat is currently trapped under a surface layer of colder freshwater, but if the two layers mix, “there is enough heat to entirely melt the sea-ice pack that covers this region for most of the year,” lead author Mary-Louise Timmermans, a professor of geology and geophysics at Yale University, told YaleNews. The researchers discovered that the heat content of the warm, salty layer doubled from 200 to 400 million joules per square meter in the past 30 years. The warming layer is “a ticking time bomb,” the study’s co-author John Toole of the Woods Hole Oceanographic Institution told CBC. Scientists believe the warm water is coming from the Chukchi Sea in the south, where ice cover has been rapidly melting and being exposed to the summer sun. Strong northerly winds are driving these warm waters north and flowing beneath the Canadian Basin. The Canadian Basin is a major basin of the Arctic Ocean that’s fed by waters from the North Chukchi Sea, just north of the Bering Strait between Alaska and Siberia.Mikenorton / Wikimedia Commons“This means the effects of sea-ice loss are not limited to the ice-free regions themselves, but also lead to increased heat accumulation in the interior of the Arctic Ocean that can have climate effects well beyond the summer season,” Timmermans explained. Ships have even begun to traverse across the melting Arctic. Such routes have been historically impossible or prohibitively expensive to cross. It is a sad irony that John McCain died within just a few days of President Trump overturning Clean Power Plan regulations to limit greenhouse gas emissions from power plants. For McCain was the prominent Republican who cared most about climate change, and tried hardest to pass legislation to address it. And he knew that while climate regulations were sometimes necessary stop gap measures, climate change would ultimately require legislation putting a price on carbon emissions and unleashing the power of markets and the private sector to create a low-cost, zero emissions economy. As it stands, after only 18 months in office, the Trump Administration has now made proposals to effectively overturn the two major Obama-era domestic climate change regulations—the limits on power plant emissions and fuel economy rules producing more efficient, lower emitting vehicles. The final disposition of these rollbacks will be subject to intense legal battles and ultimately decided in the courts. But taken together it is clear they will slow the pace of U.S. de-carbonization at precisely the time when major nations around the world need to cut emissions far more sharply to limit climate change impacts that are costing American taxpayers tens of billions each year, with the promise of far worse ahead. President Trump and his Administration have made a willful, nihilistic, and catastrophic mistake with these actions, one that current and future generations are likely to condemn as harshly as any in his outrage-filled Presidency. Trump seems intent on risking the stability of the climate system out of sheer vanity and an absurd desire to show climate science as some measure of political correctness, instead of its reality as the defining security and economic issue of our time. Unfortunately, Trump’s rollbacks have also revealed the strategy of using regulatory rather than legislative means to achieve climate protection as flawed. After unsuccessfully attempting his own carbon pricing approach in his first two years in office, President Obama’s regulatory strategy was his only serious climate option, no doubt. But its strongest adherents, including among mainstream environmentalists, portrayed the regulations as somehow bullet proof. In truth, their longevity was always premised on two beliefs: that Obama would be succeeded by a Democrat, and that the courts would uphold his specific regulations. Both of those assumptions have proven incorrect. This vulnerability was foreseeable. For one thing, the likelihood of a Democrat winning a third straight Presidential term in 2016 was much less than 50 percent (in the last 70 years, only George H.W. Bush in 1988 has succeeded a two-term President of his own party.) And the extreme anti-regulatory bent of the conservative-dominated Supreme Court was abundantly clear, as subsequently proven by the Court’s unprecedented stay of Obama’s Clean Power Plan itself, which meant the regulations have never in fact taken effect. But back in 2010, regulation was not the only climate change policy option. Once Democratic moderates in the Senate made it clear in late Spring of that year that cap and trade carbon market legislation could not pass the Senate with the economy still reeling from the Great Recession and distrust of commodity markets still high in the aftermath of financial system bailouts, the White House could have attempted other legislative approaches. The same moderate Senators who balked at cap and trade still supported a national renewable electricity standard to increase deployment of low-emissions energy which could have easily become law at the time, and would have been be far less susceptible to legal challenges and any deregulation agenda of a future President. But the Obama White House declined this opportunity. After the 2010 election, of course, Republican control of the House made legislation impossible, and regulations were Obama’s only option. On the whole, however, this reliance on technocratic and regulatory approaches is systemic as well as circumstantial. It’s long history in climate policy began when President Clinton faced a Republican Congress, but over time has begun to smack of self-justification and expediency no matter what the politics circumstances. In essence, all current regulation on emissions relies on the Clean Air Act Amendments of 1990, legislation never meant to address greenhouse gas emissions in the first place. No major climate change legislation has passed Congress since. Instead, a patchwork of jury-rigged and complex regulations on various emissions sources has accrued since. This is not to say that Obama was lacking as a leader on climate change. Quite the opposite. His fierce climate advocacy and regulatory policy after 2010 showed the world America was serious about the issue, setting the stage for the critical Paris climate agreement. And the Clean Power Plan regulations he began to promulgate in his second term, even though they were ultimately blocked by the Court, sent a powerful signal from 2013 to 2016 to markets and investors that regulation or taxation of CO2 was inevitable. Likewise, Obama’s deal with automakers in 2010 to raise fuel economy standards has reduced emissions more deeply than any other policy to date, albeit it’s foundation was Congressional fuel economy laws passed in 2007. But the problem is these regulatory signals are not strong enough for the emissions reductions needed to even provide even modicum of climate safety, according to nearly all leading scientists, especially now that regulations have proven so vulnerable to Trump’s rollbacks. More broadly, a regulatory-obsessed, autocratic view of executive power has been increasingly evident in both parties on major issues for decades, and has only gotten worse in recent years. Indeed, an insidious facet of the regulatory-imperial presidency is its ability to appease vocal activists through arcane regulations just enough to make the case that legislation is not worth the bother, creating a culture of regulation first, legislation second. Why deal with Congress at all? But regulation in the absence of underlying legislation is often not effective enough to truly solve major policy problems. Moreover, the complexity and arbitrary nature of most regulations limits their public support, providing political momentum to those who oppose them no matter the merits. Most disturbingly, reliance on regulation-based governance by executive fiat undermines trust in and legitimacy of government itself, feeding radical populism on both far left and right. The lesson going forward on climate change is that a broad-based popular movement, not a technocratic, legalistic and narrow regulatory approach, is needed to create the political support for effective climate legislation. Such legislation need not be draconian. In fact, a straight but substantial carbon tax that uses the revenue to cut payroll taxes on all working Americans is far simpler than the thicket of CO2 regulations and energy tax breaks that have accumulated since 1990. It is also according to nearly every economist cheaper, more effective at cutting emissions and more progressive. And since climate change is a global problem, having the world’s largest economy adopt a significant carbon tax will do more to jump-start worldwide innovation and begin to establish a carbon price in other major economies than any other action. Of course, John McCain supported appropriate climate regulations, as in 2017 when he cast a deciding vote to prevent his Republican colleagues from overturning limits on methane emissions from oil and gas development on public lands. And some climate regulations and efficiency standards will still be needed for emissions that will not respond to or are not appropriate for taxation. But McCain knew that climate change was ultimately far too important to be left only to regulation. In fact, he spent the prime of his career trying to put a price on greenhouse gas emissions despite the animus of nearly all of his own party. It’s time to make the broad public case for sensible but truly effective climate legislation, not just arcane, sporadic and less effective regulation. In the long run, that will prove in everyone’s economic and security interests. I am energy fellow and strategic advisor at the Progressive Policy Institute, professorial lecturer at American University’s Center for Environmental Policy, and president of Bledsoe & Associates, an energy and climate change consultancy. I was director of communications of the White House Climate Change Task Force under President Clinton, communications director of the Senate Finance Committee under former Senator Daniel Patrick Moynihan, and special assistant to former Interior Secretary Bruce Babbitt. My writing has appeared in the New York Times, Washington Post, Financial Times, Los Angeles Times, Politico, Reuters and other leading outlets. The Arctic is one of the “canaries in the coal mine” for climate change. Long ago, scientists predicted it would warm quicker than other parts of the planet, and they were right. Currently, the Arctic is among the fastest-warming places on the planet. Part of the reason is that as the Arctic warms, ice melts and ocean water is uncovered. The ocean is darker than ice so it in turn absorbs more sunlight and increases its warming. This is a feedback loop. Another reason is that the Arctic doesn’t get that much sunlight so increased energy from the atmosphere has a bigger influence there than it would have elsewhere. Scientists have looked to the Arctic for clues and hints of human climate change over the past decades. The fact that the Arctic is warming has led to a 70% reduction in the volume of summer sea ice – an enormous loss of ice. A recent paper just published in the Journal of Climate by the American Meteorological Society takes an in-depth look at how fast the Arctic ice is melting and why. According to the paper, the authors completed a detection and attribution study of Arctic sea ice decline from 1953 to 2012. That is 60 years of data that tell the picture of climate change. The “detection” part of this study was about detecting what long-term trends are apparent over these six decades. The “attribution” part of the study is figuring out what is the cause of the trends. Why six decades? Well the authors wanted to go back as far as they could while still accessing high-quality records of the ice extent. They used three different sets of data that record the extent of ice in the region. In terms of attribution, the authors looked for “fingerprints” of human activity. Humans emit greenhouse gases that trap heat. We know that and we have known that for a long time. Greenhouse gases make the Arctic warmer. But, other things are happening too. There are natural changes to the Arctic. There are also other human pollutants that affect the ice. For instance, humans emit small particles called “aerosols” that can get into the atmosphere and block sunlight. So, these human aerosol emissions can actually cause cooling. The authors concluded that the combined cooling effect from human aerosols was detected in all three datasets of ice. That means, it didn’t matter whose measurements you used – the effect of aerosol cooling was present. So how much of an effect do aerosols have? It turns out 23% of the warming caused by greenhouse gases was offset by the cooling from aerosols. Unfortunately, this isn’t good news. It means that if/when humans reduce our aerosol pollution, the warming in the Arctic and the ice loss there will be worse. This puts us into a Faustian bargain. We want to reduce airborne pollution, like sulfur aerosols. But, if we do that, it makes the effects of greenhouse gas pollution worse. The cooling effect of aerosols has been known for a long time. We see it when certain volcanoes erupt. Some volcanoes inject tons of aerosols into the stratosphere which temporarily block some sunlight for a few years. Human aerosols work in much the same way. They stay airborne for a few years, reflecting sunlight, before they are cleaned out of the atmosphere. This process has led some people to speculate that we could reverse global warming by just injecting pollution into the atmosphere. This short-sighted geo-engineering is replete with unintended risks. Arctic sea ice loss is already bad news, and this research comes on top of it. It’s amazing to think that the loss could’ve been even faster, if it hadn’t been for this dampening effect. If reducing the emissions of aerosols leads to an even faster warming of the Arctic, this will only further decrease the temperature gradient between the pole and the equator, likely adding to the destabilisation of Northern Hemisphere weather patterns. Never mind the longer term risks tied to sea level rise, methane release and changes to ocean currents. Not reducing aerosols isn’t an option, either, and so we find ourselves in quite a predicament. Hopefully future research will show that the number is actually lower. He also reiterated the importance of this topic. He told me that we need more young minds to study the cryosphere; we need more data to help us understand the long-term trends. To gather that data, we need more and better equipment. This is a great example of how a small investment now can pay huge dividends in the future. So, that give us some context about whether aerosol pollution is good or bad for us. Regardless, the “canary in the mine” is speaking and we should be listening. Humans have our fingers on the solutions to climate change – we only lack the will. Climate scientist says we have to act soon if we want to protect the southernmost continent. Scientists have long known that rising temperatures are melting Antarctica’s vast ice sheet, sending water into the Southern Ocean and raising sea levels around the world. But many were surprised last week by a new study showing that Antarctica’s ice is melting three times faster today than just a decade ago. In light of the unwelcome news, what lies ahead for Antarctica? Will rising temperatures cause the southernmost continent to lose most or all of its ice — and trigger catastrophic flooding around the world? Or will we find the political will and the scientific know-how to limit the carbon emissions that fuel climate change and keep Antarctica frozen? For the answers to these and other questions, NBC News MACH spoke with climate scientist Stephen Rintoul, who has done research describing two starkly different scenarios for Antarctica five decades in the future: One shows what will happen if steps are taken to curb the carbon emissions, while the other what happens if we do nothing. MACH: Why is Antarctica so central to discussions of climate change? Rintoul: Antarctica is remote, but it’s closely connected to the rest of the world. The volume of ice in Antarctica — if it were all to melt — is enough to raise global sea level by more than 50 meters [more than 160 feet]. Even a small change in the Antarctic ice sheet might make a big change to sea level. The Southern Ocean also controls how fast climate changes for a given amount of greenhouse gas emissions. That’s because the currents in the ocean take up heat and carbon dioxide from the atmosphere and store it in the interior of the ocean — that acts to slow the pace of climate change. 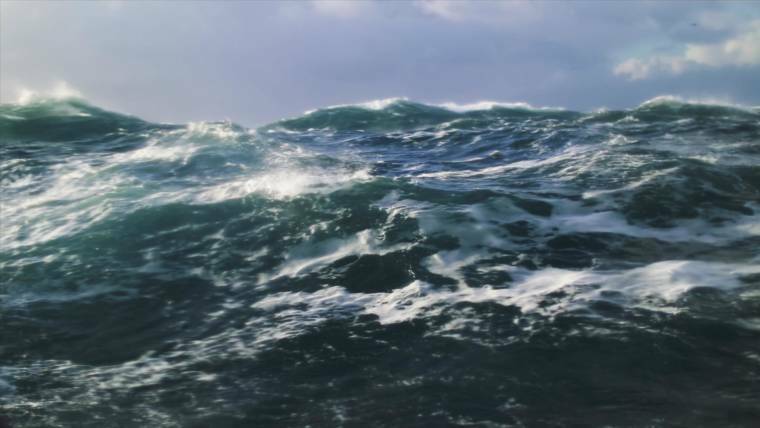 If the Southern Ocean currents were to change in the future, that might either accelerate or decelerate the rate of climate change. How fast is the Antarctic ice sheet melting? The new study presents a record of how the Antarctic ice sheet has changed over the last 25 years. This is now the longest and most complete record we have, and it’s still pretty short in the lifetime of an ice sheet. But over the last 25 years, the Antarctic ice sheet has lost about 3 trillion tons of ice. That’s a very small fraction of the total Antarctic ice sheet — about 0.01 percent. But even that small change has been enough to raise global sea level by a measurable amount, and the rate at which Antarctica is contributing to sea level rise is accelerating. Over the past five years the rate of ice loss from Antarctica is three times what it was 25 years ago. How much of the ice would need to melt before we notice the effects? We’re already noticing the sea level rise that has happened to date. The flooding in New York with Hurricane Sandy would not have been as serious as it was if sea level had not risen over the last century or so. And in many coastal environments around the world, we’re seeing an increase in the frequency and the size of coastal flooding. We’re feeling it already even with a global sea level rise which is much smaller than what’s forecast to come in the coming decades. What happens if we fail to curb carbon emissions? The Catholic Church is broken. Can it be saved? Under continued high emissions, one of the most serious consequences by 2070 is that the floating ice shelves around the edge of Antarctica will have started to thin and weaken and break up. As the ice flows off the Antarctic continent, it reaches the ocean, and some of it starts to float — those are the floating ice shelves. They act like a buttress or a barrier that helps restrict the flow of ice from the Antarctic into the ocean. If we weaken those ice shelves or remove them, more ice flows into the sea. That increases sea levels. By 2070 under that scenario, the Antarctic contribution to sea level will have increased by about 27 centimeters. If we want to avoid that scenario, we need to make a decision to reduce emissions sharply within the next decade. How would rising seas affect us? It doesn’t sound like very much, but the effect of storms or high sea level events is more serious because it comes on top of a higher baseline. And so, the frequency of coastal flooding increases with time and the magnitude of coastal flooding increases with time as the average sea level rises. A study estimates that the damage caused by coastal flooding in about 150 coastal cities will reach a trillion dollars a year within the next 50 years — if we don’t protect the coast. And the cost of protecting the coast will be about $50 billion a year. It doesn’t take a huge amount of sea level rise before we’re coping with a flood event that used to happen once a century now happening once a decade. What if we take effective steps to reduce carbon emissions? Antarctica in 2070 looks much like it does today if we follow the low-emissions trajectory. The point of the paper is that we have a choice. It’s not too late to choose the low-emissions scenario. But we do need to act very soon because if we continue along the present trajectory of relatively high greenhouse gas emissions, within 10 years or less it becomes impossible to get back to that low-emissions scenario. One way to think about it is that to keep temperatures below a certain threshold — say, to keep warming below 2 degrees [Celsius] like the Paris [COP21] agreement set out to do. We have a budget of carbon that we’re allowed to spend, and we’ve already spent about two-thirds of that budget. The longer we continue to emit high levels of CO2, and spend that budget, the less we have left for the rest of time. And so, it really is important to turn that emissions trajectory downward as soon as we possibly can to buy us more time. I don’t downplay the challenge of fully realizing that low-emissions trajectory. And the longer we wait to turn emissions around and start decreasing the amount of greenhouse gases we emit, the more difficult it becomes, the more costly it becomes and the more quickly we need to do it. The causes for optimism, and there are some, are that some groups in nations, industries, communities and regions are starting to take this seriously. They’re taking it seriously both because they appreciate the consequences of not acting but also that they see opportunities in a low-carbon economy. It means we don’t have to wait for the political system at the national level to reach agreement that we’re going to get serious about action. We can do it in smaller steps taken by many individuals and groups around the world. Join your fellow readers in keeping independent journalism strong: Support BuzzFlash and Truthout by making a donation. In the midst of a presidential administration and Republican majority in Congress that deny the reality of global warming, factual research continues to indicate the looming disaster of climate change. However, due to the mainstream corporate media focus on the spectacle of Trump, there is little sustained coverage of the peril that awaits us, even though the warning signs are occasionally reported on. Furthermore, the “alternative facts” of the climate deniers stifle intensive coverage of the ruinous future due to relative inaction on reducing carbon and methane emissions. In the period from 2012-2017, Antarctica lost 219 billion tons of ice each year, according to The Post. The article reveals a stunning comparison to that figure: “From 1992 through 1997, Antarctica lost 49 billion tons of ice annually.” That’s an increase of 170 billion tons of ice melt. With a continued rise in sea levels, as The Post notes, cities and communities that are located on the ocean are in jeopardy. Rising sea levels will gradually erode the shorelines of these population centers and eventually flood them. These include such major cities in the United States as New York, Miami and Los Angeles. In fact, the entire Eastern and Western seaboard are being threatened in the absence of reversing climate change. Ominously, there is no emergency and comprehensive plan that would reverse this trend. The Paris accord — which Trump pulled out of — has voluntary goals for nations and falls short of fully tackling the accelerating global warming threat. In Antarctica, it’s mostly warmer water causing the melt. The water nibbles at the floating edges of ice sheets from below. 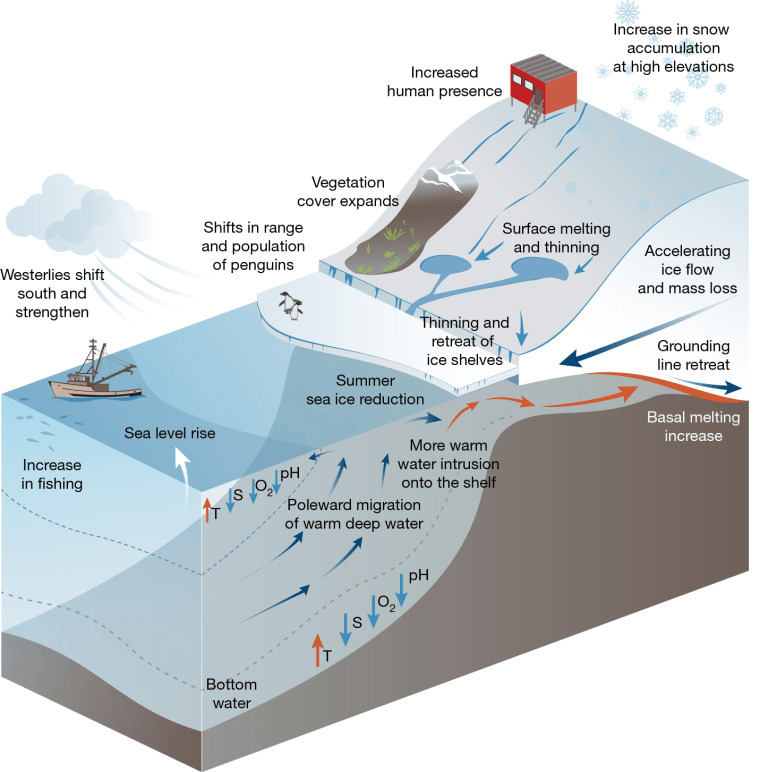 Warming of the southern ocean is connected to shifting winds, which are connected to global warming from the burning of coal, oil and natural gas, Shepherd said. More than 70 percent of the recent melt is in West Antarctica. Dire indeed. However, beyond the media focus on Trump as ringmaster of a circus, there is an additional challenge in coming to terms with climate change. In a society that responds to what is happening today and has little interest in safeguarding the future, the warning signs of the devastating effect of global warming appear, to many, to be too distant in their implications. The United States is not a nation that places a priority on what might occur down the road. Mainstream corporate news coverage emphasizes what is happening contemporaneously, not problems of the future. These are the facts, not the “alternative facts,” and they should be the cause of sustained alarm and remediation. Otherwise, we are left with the likes of climate deniers brushing back the mass media on reporting on the impending threat. 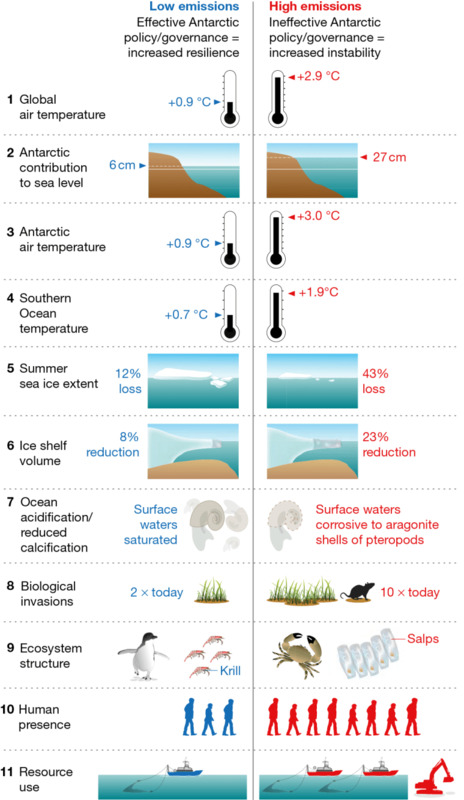 Sea level rise is likely to continue at an even faster rate during the 21st century. It is also predicted to affect more than 95% of the world’s oceans by 2100, with 70% of coastlines experiencing rising sea levels. The hoax is that some in the far left believe man controls changes in the climate and we’ve endured eight years of an administration that buys into the alarmists’ mentality that the world is coming to an end due to man-made gases. That’s the hoax. No, it’s not a hoax. It’s an attempt to salvage the planet based on scientific — not spurious — facts.